What you’re looking at is our first head of cabbage from the garden. Massive. I don’t think even our creative posing with the can for size comparison really shows its true girth. 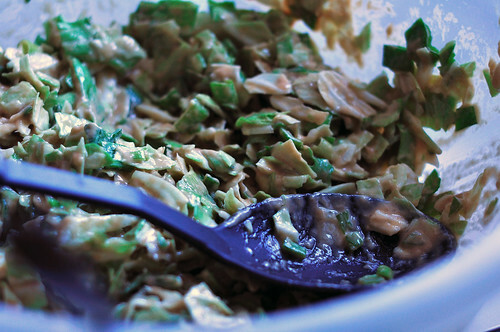 We made two meals with this head of cabbage, with enough to give each of us second helpings. 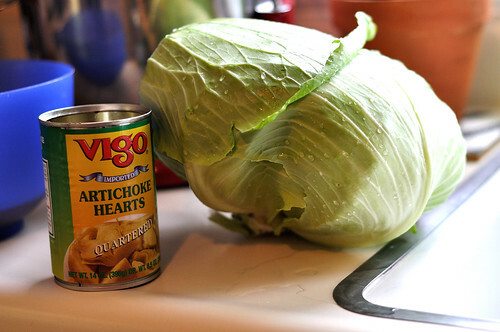 Sure, we’ve had our ups and downs with cabbage this season. It has an incessant need to be watered and seems to attract every nom’ing caterpillar in the neighborhood. But with some organic spray and a lot of TLC we’ve been able to grow four massive heads of cabbage. 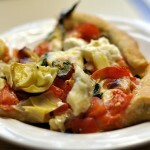 A year ago we came across a great cabbage-centric recipe for Japanese Pizza via 101 Cookbooks. If you haven’t subscribed to this site, you absolutely must because the recipes are healthy, fresh, and full of seasonal veggies. 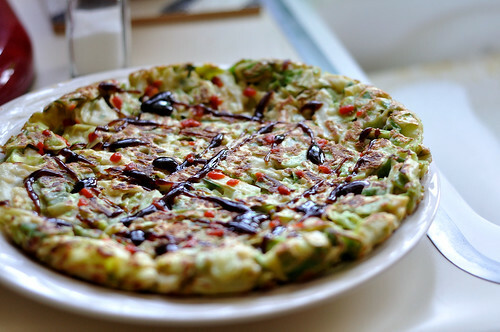 Japanese Pizza is actually known in Japan as okonomiyaki, and it’s really more of a frittata than a pizza. What it does share in common with pizza is its shape and ability to be made as you like it. Don’t be fooled by its smaller size and relatively lightness, it fills you up quickly. We also added 1 tablespoon each: hoisin sauce, light soy sauce, rice vinegar and ground pepper. 1. 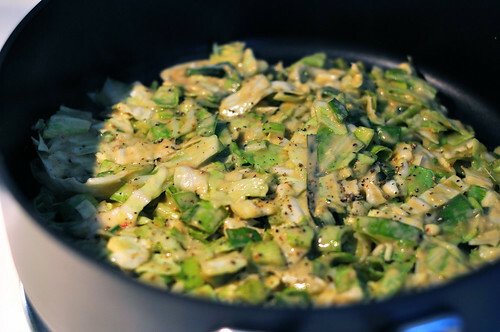 Combine the cabbage, leeks, flour, and salt in a bowl. Toss until everything is coated with a dusting of flour. Stir in the eggs and mix until everything is evenly coated. (Also add our extra ingredients should you choose to use them). 2. Heat a large skillet over medium heat and add a generous splash of olive oil. 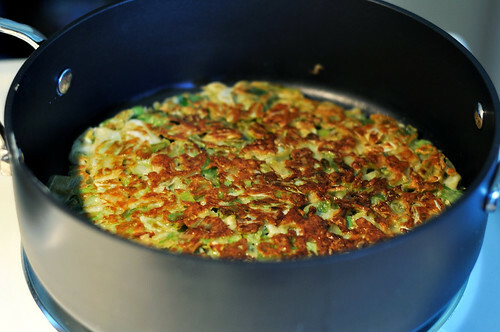 Scoop the cabbage mixture into the pan, and using a metal spatula press it into a round pancake shape, flat as you can get it. Cook for 4-5 minutes, or until the bottom is golden. 3. 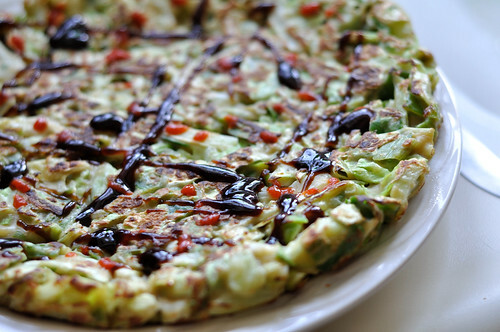 To flip the okonomiyaki, slide it out of the skillet onto a plate. 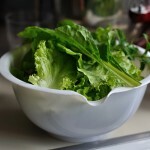 Place another plate on top and flip both (together) over. If you need a bit more oil in your skillet, add it now, before sliding the okonomiyaki back into the skillet. Again press down a bit with a spatula and cook until golden on this side – another 3 -5 minutes. When you are finished cooking, sprinkle with toasted almonds and chives, and slide it onto a cutting board to cut into wedges. Enjoy immediately. If you’re on the fence and iffy thinking you might not like the taste of a cabbage and leek frittata, I will tell you that it tastes very much like egg rolls. They are incredibly versatile. 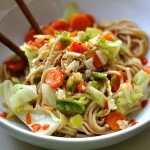 You can make them smaller, or ball them up and serve them with stir fries and noodle dishes. They’ve definitely become a favorite of ours and a frequent craving of mine. 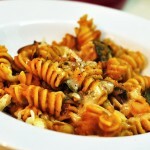 I made this exact recipe a year or so ago! It was pretty good…I think we should have added some sort of sauce on top, but didn’t really think of it/have anything at the time. 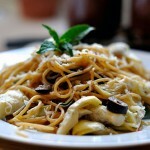 She has an awesome site for vegetarians. Sam, I linked to the post I made almost a year ago where we were both considering making it. I only remembered I had posted about it after I made this post lol. Oh my gosh! 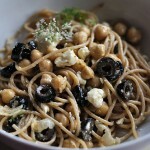 I forgot about this recipe…I used to make it a lot! Yummm, love it!